World's Largest Matrimonial Website. Provides matrimonial services to Indians and people of Indian origon. Advice and information for parents or carers of toddlers. Covers foods, saying no, toilet training, learning to say goodbyes, and how young children explore the world around them. From University of Illinois Extension. 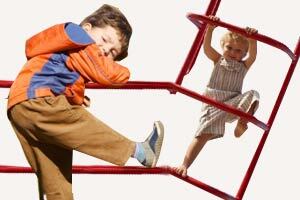 Parents page dedicated to promotion of healthy development of children from birth to age three. Contains information on social, emotional, and intellectual development. Information and advice organised by age groups. Parents can also discuss issues with other parents and get on-line expert advice. A site designed to help parents and caretakers teach an infant to use sign language to indicate their needs. Site includes video and image dictionaries, research and on-line store. Provides straightforward answers to everyday questions and struggles faced by parents of young children from birth to five. Speaks respectfully to all types of families. A comprehensive parent and family interactive community featuring expert parenting advice, chat, and discussion focusing on pregnancy through age 5.